Journée du Poilu. Organisée par le Parlement. 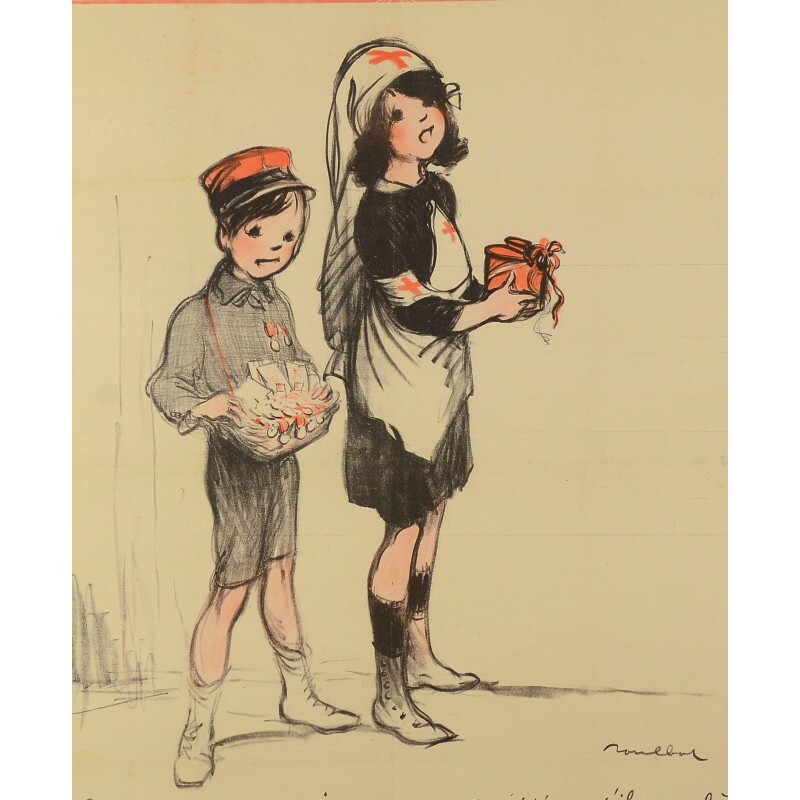 A young girl in a Red Cross nurse's uniform and a small boy wearing a red cap, carrying a collection cup and selling medals - 'So that Papa may come on leave, if you please.'. Poilu is a warmly informal term for a French World War I infantryman, meaning, literally, hairy one. 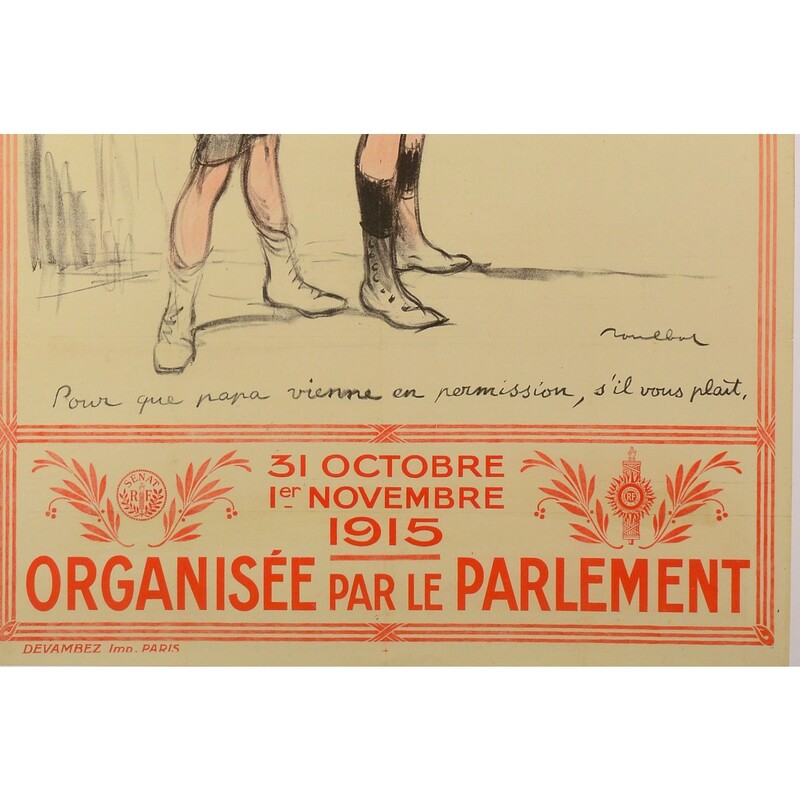 It is still widely used as a term of endearment for the French infantry of World War I. The word carries the sense of the infantryman's typically rustic, agricultural background. 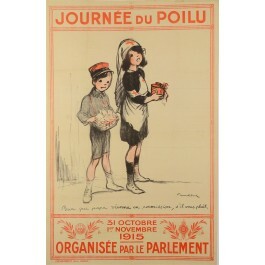 Poster realized in 1915 by Francisque Poulbot (1879-1946). Poulbot was a painter, illustrator and sculptor. Les Petis Poulbots, street urchins of Montmartre in Paris, were affectionately nicknamed after him.